The Christmas Market (Chiskindlmarkt = “Christ Child Market”) is a street market that generally occurs during the four weeks of Advent. The oldest version of the markets date back to the 14th and 15th century and the original purpose was to stock up for the long winters and to add a bit of light to the dark months. The market is usually located within the town square and has numerous open-air stalls where you can buy food, drink and seasonal items. On opening night of the market, onlookers welcome the “Christkind” which is often depicted as an angel-like girl. The tradition of the Christmas market carries on into present day as a festive meeting place and cheery market for locals and tourists alike to enjoy. Some of the most famous Christmas markets are located in the cities of Augsburg, Dresden, Erfurt, Frankfurt, Nuremberg, and Stuttgart which makes them popular tourist attractions during the holiday season. The most popular Christmas markets in Germany are in Dortmund (3.5 million visitors) and Cologne (4 million visitors). The markets are not only found in Germany though, they can be found in many other parts of the world such as our own Christkindlmarkt here in Chicago. Christmas markets are a strong tradition that will likely continue on far into the future because of their familiar, nostalgic feel that help to brighten up even the dreariest and darkest of winters. 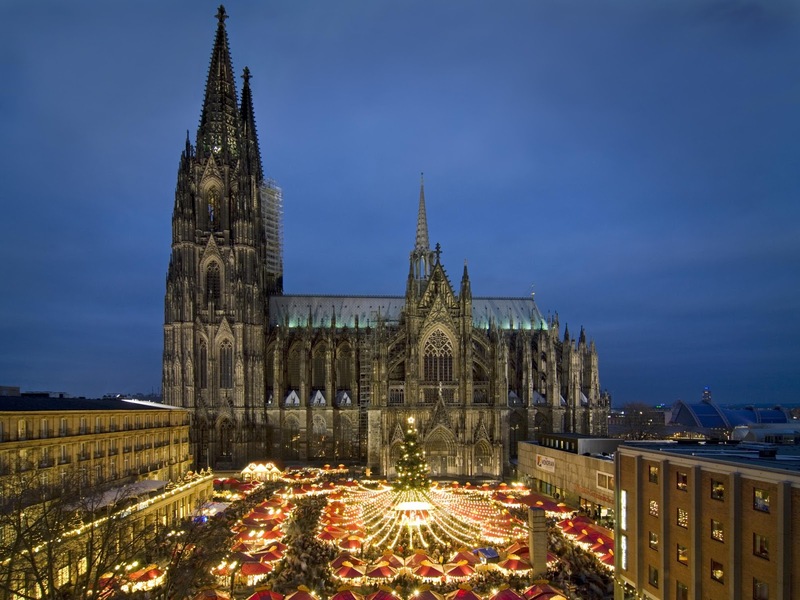 The city of Cologne has seven different Christmas markets during the holiday season. 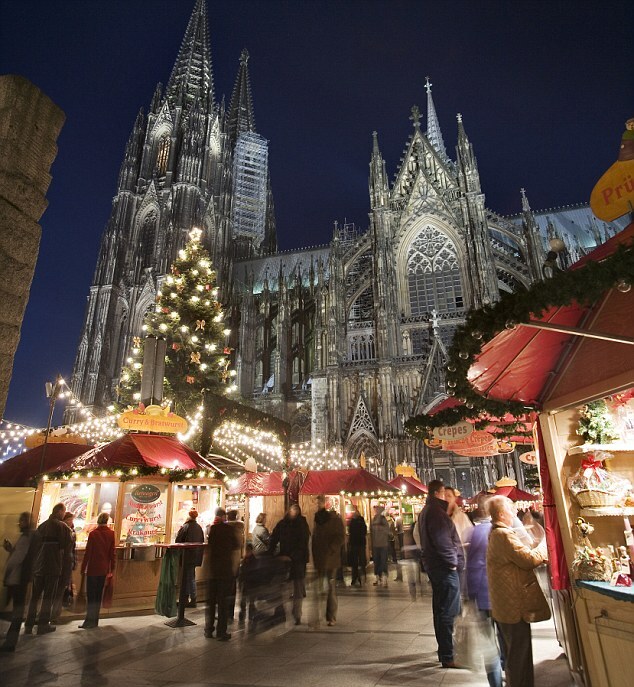 The market located at the Cologne Cathedral is in some ways the most impressive because of the Cathedral as a backdrop, the largest Christmas tree in the Rhineland and has well over 160 pavilions/booths to shop from and explore. The Alter Markt takes place in the center of the Altstadt, in front of the Old Cologne Town Hall. According to old Cologne legend, this market is were the famous “Heinzelmännchen” gnomes are said to be responsible for the magic of Christmas in the city, carefully watching the Christmas proceedings and preventing any mass made or modern goods from being sold. The Neumarkt is Cologne's oldest Christmas Market and is located on the “New Market” with the backdrop of St.Aposteln’s Church and Cologne’s main shopping area. It is generally viewed as glamorous and has high0quality products. The Rudolfplatz market is located in Hahnentorburg which is one of Cologne's three medieval gate houses. It has a magical feel to it because it features large, fairy tale figures from the storybook world created by The Brothers Grimm.